These two lovebirds are professional show jumpers and fell in love on one of the conventions. 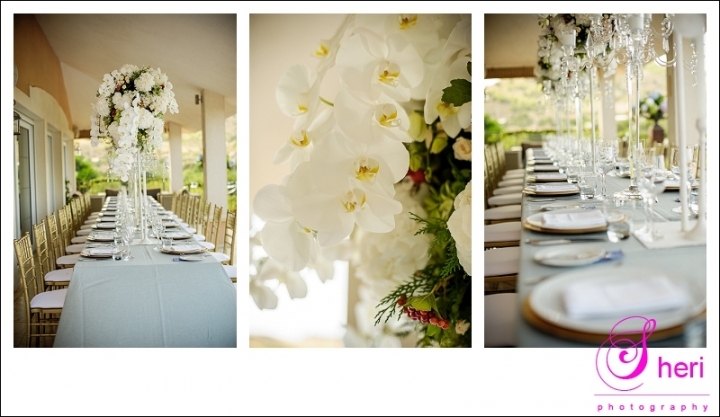 It was an intimate wedding held at the beautiful villa of Guy’s dad. The place looked amazing! The flowers and decorations were sooo fab! Zhanna got ready with her friend and she looked gorgeous and her shoes OMG, from Jimmy Choo , need I say more. Guy looked smart in his suit and the nearer the ceremony came the more nervous he got. The ceremony was conducted by Reverend Eddie Martens and as usual he did a wonderful job. The ceremony ended with a great artist Alberto Navarro Morote, a saxophonist. Afterwards we took some photos on the golf course and they enjoyed canapes and Moët and of course Vodka. After the meal there was a huge firework display which everybody enjoyed, followed by speeches and dancing.